Joseph Forster was born on October 25, 1919 in Gainesville, Florida. He joined the Army in 1940 and rose to the rank of Sergeant before being accepted for flight training. He was awarded his wings and commissioned as a 2nd Lt. in June 1943. Forster served wit several fighter units before transferring to the 475th Fighter Group in late October 1943. Joe was assigned to the 432nd FS and quickly scored two unconfirmed (probable) victories over Mitsubishi A6M “Zeke” fighters in November of that year. On 3 April 1944 Lt. Forster shot down two Kawasaki Ki-61 Tony’s and a Nakajima KI-43 Oscar for his first officially confirmed victories. He didn’t score again until 14 October when he claimed a Zeke over Balikpapan in eastern Borneo. 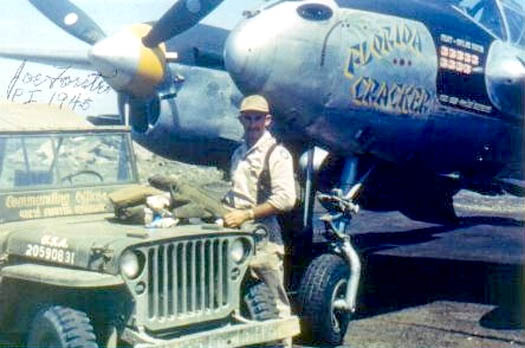 Shortly thereafter a Zeke turned inside him and a 20mm round destroyed the oil cooler his port engine. Taking evasive action Forster dove his Lightning and used his dive brakes and recovered just above the wave tops. He then feathered the port engine and proceeded to fly 800 miles back to land at the base in the Halmahera islands he had staged from earlier in the day. 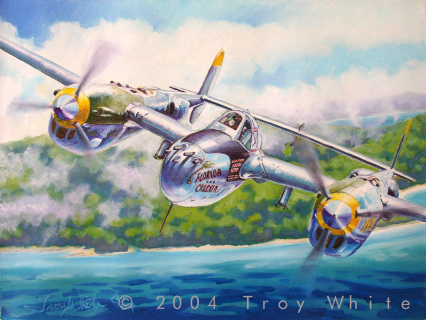 His flight home set the record for the longest flight on one engine in a P-38. 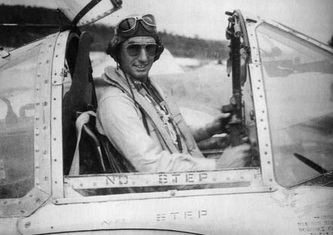 Joe became an ace on 2 November after splashing an Oscar near Leyte. He scored four more victories before the year was out and finished the war with a total of nine confirmed, three probable victories and one damaged claim. 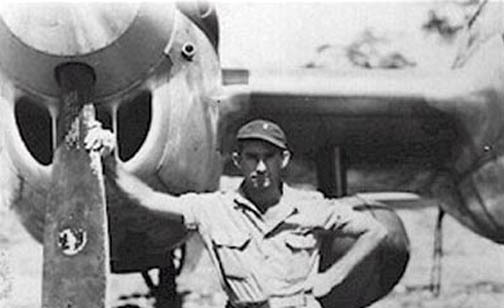 Joe was awarded the Distinguished Flying Cross with Oak Leaf Cluster and the Air Medal with six Oak Leaf Clusters. 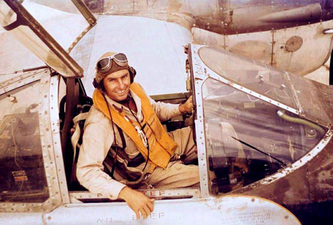 He remained in the Air Force after the war and retired as a Lt. Colonel in 1971. He passed away in April 2013.